According to a new study by researchers at the United Lincolnshire Hospitals NHS Trust (ULHT) and the University of Lincoln, UK, bone healing cells in non-smokers are of a better quality, more active and quicker at dividing than those of smokers. 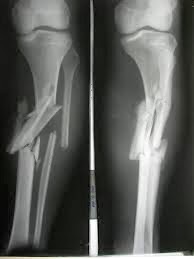 The study involved gathering 50 fracture patients who volunteered to allow blood from the area of the fracture to be analyzed. The blood was studied in the laboratory at the University of Lincoln to identify the differences in the quantity and quality of stem cells and molecules that are involved in bone regeneration following fracture. Trauma and Orthopaedic Consultant at Lincoln County Hospital, Professor Mohammad Maqsood, who had previously completed the first stages of research into how smoking affects the healing of fractures at cellular and molecular level, said: "We set up the research looking at the factors which affect the healing process of fractures in 2007, which involved collecting the blood from consenting patients, both smokers and non-smokers, who have suffered tibial fractures and had been admitted to Lincoln County Hospital for surgery. We also set up a 'smoking machine' which simulates smoking 20 cigarettes per day to study the effects of smoking on the blood in a controlled environment." The team also included Director of Research and Development at ULHT and Consultant Breast Surgeon, Professor Oleg Eremin; Senior Lecturer, Dr Mohamed El-Sheemy, and PhD researcher Andrew Sloan from the University of Lincoln, and staff from the orthopedic department at Lincoln County Hospital. 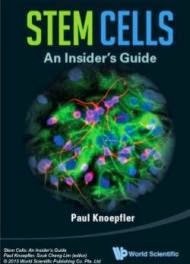 "I was particularly interested in how stem cells can be extracted and isolated from human fracture tissue. I felt a real sense of achievement when we were able to do this, as only one group in the world had written about this methodology previously. After growing and harvesting the stem cells from the tissue, we were able to closely analyze and monitor how cigarette smoking had a detrimental impact on stem cell growth and development, giving rise to abnormal bone repair. We also showed how the molecules that mediate certain cellular processes were being hampered by the toxic effects of the tobacco smoke and its constituent components." said Andrew. The results revealed that the bone healing cells in non-smokers were of a superior quality, more active and quicker at dividing than those of smokers, which contributes to a faster healing process. The researchers presented their findings across Britain and at conferences in Finland, France, Switzerland and the Czech Republic. The next steps of the project will involve looking at how the adverse effect of smoking at cellular and molecular level can be reversed.